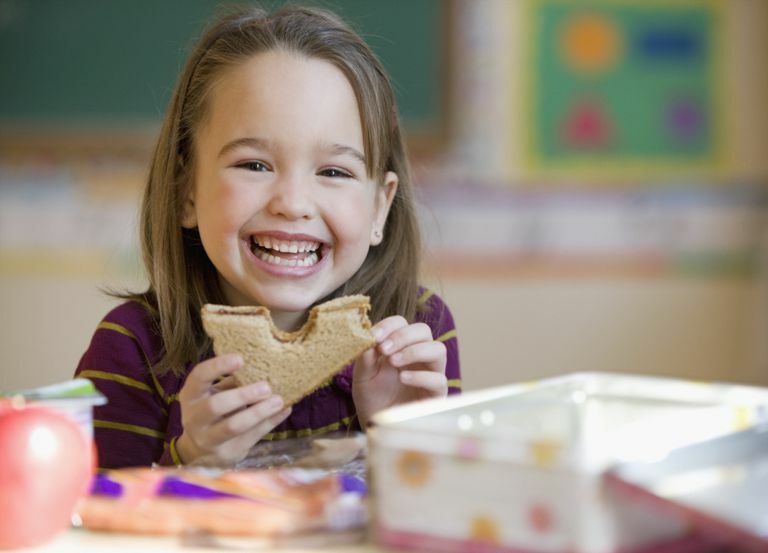 Children spend the majority of their waking weekday hours at school so it’s important for schools to be a part of the fight against childhood obesity. Otherwise, they could end up teaching kids the wrong lessons about taking care of their health or undermining the healthy eating and exercise habits parents are trying to instill in their kids. In a study tracking the weight and behavior of low-income kids from kindergarten up to 8th grade (in 2007), researchers found that girls who ate school breakfasts regularly had a .70 higher body mass index (BMI) score than their peers, while girls who regularly consumed school lunches had a .65 higher BMI. By contrast, boys who participated in school sports had a BMI that was .55 lower than their peers. Fortunately, new standards for school meals and recommendations for physical activity are starting to move things in the right direction. A recent review of the research on school-based interventions in the U.S. and abroad found that healthy interventions in schools are associated with positive changes in children’s BMI, physical activity levels, nutrition knowledge, and improvements in their eating behavior. The interventions vary considerably in content, which suggests that a one-size-fits-all approach isn’t necessary to make a positive impact. The most common strategies included offering instructional sessions, educational games (such as fruit and vegetable bingo), and cooking classes; providing school-based gardens and opportunities to sample healthy foods; improving the nutritional quality of school food options; and promoting more physical activity. Providing counseling and other resources to students with health, mental health, and nutrition-related needs. As far as school meals go, new nutrition standards from the USDA call for schools to ensure that kids are offered fruits and vegetables every day, more whole-grain-rich foods, and only fat-free or low-fat milk, as well as including less saturated fat, trans fats, sodium, and total calories in school-prepared foods. Making these changes can help the obesity-prevention effort. Research has found that kids who attend a school without school stores or snack bars are estimated to consume 22 to 26 fewer calories per day from sugar-sweetened beverages; elementary-school kids who attend schools that don’t offer French fries in meals consume 43 fewer calories per day, while high school students whose schools don’t offer sugar-sweetened beverages consume 41 fewer calories per day. All of these changes can add up to a reduction in overall calorie intake, which can assist with weight-control efforts. Programs that increase physical activity during the school day can also make a difference. A recent study found a 4.2 percent variation in BMI scores among primary school children from different schools and concluded that a significant proportion of this variation could be explained by differences in the physical education programs. Adding more movement to the school day can have a positive ripple effect on kids’ activity levels and perhaps their weight. In a study involving 25 New York City public elementary schools, researchers compared the effects of the Recess Enhancement Program (REP), in which coaches guide kids through age-appropriate games to increase their physical activity, and the usual recess activities. The rate of vigorous physical activity was 52 percent higher in the REP schools—and kids continued to engage in more intense movement even when the coach wasn’t around, which suggests a lasting change. Increasing the rigor of PE classes can also help. In a study involving overweight middle-school kids, researchers at the University of Wisconsin assigned the kids to either lifestyle-focused, fitness-oriented, or standard gym classes for 9 months. At the end of the program, those in the fitness-oriented class lost more body fat and gained more cardiovascular fitness and a greater improvement in their fasting insulin levels than kids in the other groups did. Ultimately, if schools can become allies with parents and physicians in the battle against childhood obesity, we’ll have a better chance of winning the war. If your child’s school hasn’t yet introduced healthier meals, nutrition education programs, greater physical activity, and other health-boosting activities, encourage your PTA to get involved in making it happen.